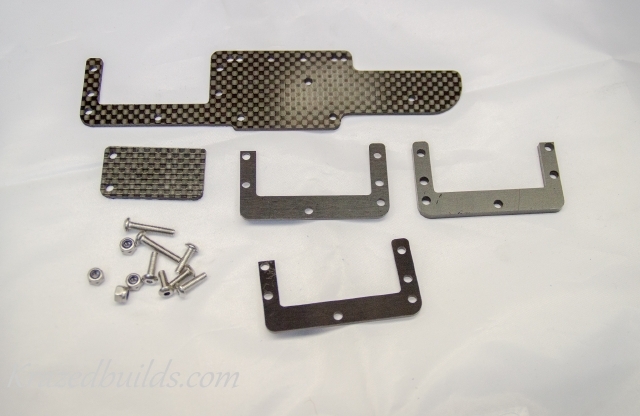 Krazed Builds is happy to annouce it is now stocking the popular desTroy plates for you Axial drivers. Want to lower your center of gravity? These plates will let you move your servo over to the right lowering its center of gravity weight. Need a place to mount your battery? 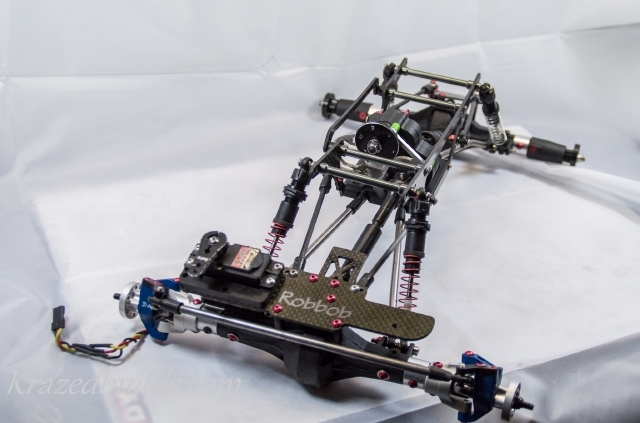 With the plate you can fit your favorite 3S lipo either on top of it or under it closer to the left wheel. Wondering where to put your electronics? Included is an add on piece you simply attach to the back of it and have a little shelf for your valuable esc and receiver. Browse on over to the store to get yours today! Perfect for mounting all your equipment and weight where you can use it. On the front axle! Optional engraving is also available for that ‘personal’ touch.